Laws are divided into two distinct bodies: substantive law and procedural law. While they function hand-in-hand, they are far from being alike in scope and limitations. This article provides the differences between the two. Substantive law is a set of written laws and statutes that govern the rights and duties of citizens within its jurisdiction. 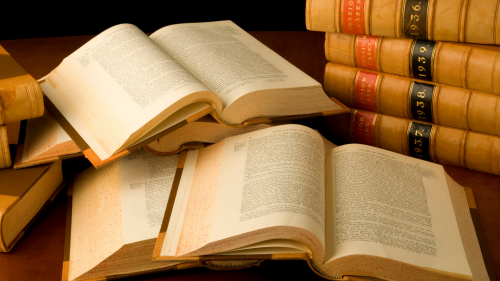 Elements of substantive law exist under civil law and criminal law. The role of substantive law is to determine whether a particular action falls under the civil or criminal law. Under civil law, substantive law governs how people in a state interact with each other and behave within their society. Instead of focusing on a specific crime, civil law deals with legal actions that may be damaging to other people. Under criminal law, substantive law defines different types of crimes, along with the penalties set for every crime. Procedural law, on the other hand, is a set of rules used to govern the flow of legal cases. A body of law that strictly conforms to due process, procedural law also regulates the steps in processing a case. Basically, procedural law focuses on the technical aspects of legal cases, along with legal practices and the procedures in civil, criminal, or administrative proceedings. It is mainly concerned with the observance of due process, which requires the court to respect all the fundamental rights of a person under litigation. So what’s the difference between substantive law and procedural law? Firstly, substantive law and procedural law greatly differ in purpose. Substantive law governs the rights and duties of everyone within the jurisdiction of the state, while procedural law regulates the flow of legal cases, along with the steps in processing a case. Secondly, substantive law focuses on the substance of a case, while procedural law ensures the observance of due process. Substantive law deals with facts about the case and the penalties that may apply for violations against civil or criminal charges. Procedural law, by contrast, is most concerned with the procedure or the technical aspect of law. In addition, substantive laws are laws and statutes promulgated by the legislative body, while procedural law is promulgated by the judiciary body. Finally, substantive law is used to determine the nature of the case. Procedural law, on the other hand, is designed to ensure the fair application of substantive law to cases tried before a court.